EETS (European Electronic Toll Service) enables you to use toll roads across Europe while receiving only one bill from only one service provider at the end. Thus the billing becomes easier and transparent, similar to the use of a cell phone abroad. 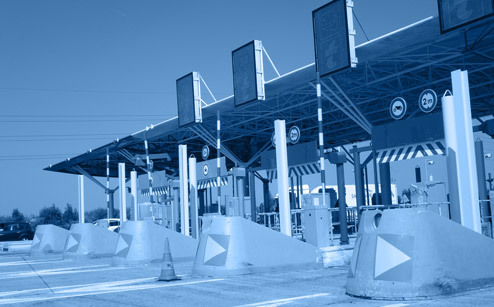 The payment of toll is thereby regulated via contract with a toll service provider in combination with an installed onboard unit (OBU) in the vehicle. EETS can be used for infrastructures like motorways, tunnels, ferries, etc. More than 20 million users are already registered for a national or regional electronic toll service in the European Union. However, the OBU’s used in this context can only be used with certain toll chargers or certain service providers. The big advantage of EETS is that it assures the interoperability of all toll systems in the EU, regarding DSRC as well as satellite based systems in combination with mobile communication. As Notified Body for EETS NavCert provides expert opinion according to the EU-Directive 2004/52/EC and is as such contact partner for toll chargers as well as toll service providers.